United lost further ground in the Scottish Championship as for the second consecutive game they lost a stoppage time winner which led to a 2-1 defeat, this time against Partick Thistle at Firhill. United head coach Robbie Neilson made four changes from the side which lost in such a disappointing fashion to Inverness Caledonian Thistle in the Scottish Cup quarter final. Paul McMullan, Calum Butcher, Osman Sow and Aidan Nesbitt all started on this occasion, replacing the suspended Peter Pawlett and the benched Pavol Safranko, Cammy Smith and Fraser Fyvie. 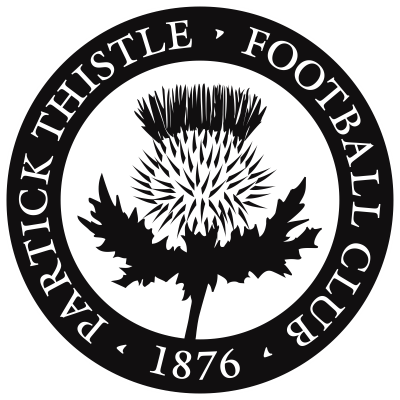 Partick Thistle may have been bottom of the league, but they had been on a great run since the turn of the year, having only lost twice in 2019 as they sought to protect their Championship status. They had four former United players in their starting line up, with new signings Steven Anderson and Scott McDonald appearing alongside familiar faces Blair Spittal and Craig Slater. Osman Sow was making his first start for United and was involved right at the start of the game by chesting the ball through to Nicky Clark. The former Dunfermline striker hit a shot from outside the area that bobbled well wide. That chance proved to be something of a false dawn for United, as after four minutes the home side took the lead. Joe Cardle lifted a perfectly weighted ball into the box for Scott McDonald to head goalwards from a few yards out. United goalkeeper Ben Siegrist was able to get something on the ball, but he was unable to prevent the Australian striker’s effort from hitting the net. After the late defeat against Inverness, this was the worst possible start for United. United actually responded well to going behind, and within a minute an Osman Sow shot was deflected narrowly wide. However, Thistle could have doubled their lead a couple of minutes later through another former United player when Blair Spittal met a knockdown from Joe Cardle. He met the ball on the half volley but he failed to keep his effort down and it went inches over the bar. United almost fashioned an equaliser on the 12th minute as a cross from the left was deflected and fell perfectly for Paul McMullan. The winger scuffed his first attempt at a shot but the ball came back to him. However, he failed to get his second attempt on target as he volleyed the ball well over the bar. There was a blow for United in the 20th minute as Osman Sow was forced off with an injury, although he was replaced by a more than able deputy in Pavol Safranko. United were having the bulk of possession at this stage of the game, but chances were a rarity and there was a distinct lack of creativity on either side. The match passed without further incident until just after half an hour when James Penrice became the first player to be booked for a late challenge on Nicky Clark. Charlie Seaman took the resultant free kick but his dipping shot did not dip quite enough, and the ball sailed a few inches over the bar. United came even closer to equalising a few minutes later when an Aidan Nesbitt ball from the left was diverted back across goal by Paul McMullan. The ball fell to Nicky Clark who attempted a first time volley on the half turn, but he could not get his shot on target and the ball sailed high into the stand behind the goal. The first chance of the second half came two minutes after the break when Craig Slater’s delivery was nodded goalwards by Scott McDonald, but it was a comfortable save for Ben Siegrist. The next chance came five minutes later and it came from a Dundee United mistake as Mark Reynolds tried a badly misjudged header back to Siegrist which was intercepted by Scott McDonald. The former United striker tried a snapshot which the United goalkeeper was able to get a hand to and he turned the ball past the post. Partick Thistle had a penalty claim soon afterwards when it appeared that Mark Connolly had pulled back Scott McDonald in the box, but referee Alan Newlands saw nothing amiss. McDonald did get a decision a minute later when he won a free kick after being fouled by Connolly, and Blair Spittal crashed the resultant free kick into the United wall before the ball was cleared. United substitute Sam Stanton saw a drive deflected over the ball for a corner in the 67th minute, before there was further controversy as it looked like the away side were denied a stonewall penalty after Jamie Robson got the ball in the Partick Thistle penalty area. An out of position Miles Storey attempted a flying tackle on the United left back and looked to bring down Robson. 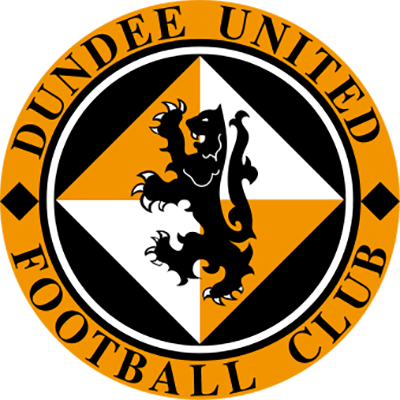 However, despite the vociferous protests from the United players, referee Alan Newlands ruled that Storey had got a touch of the ball and awarded a corner kick to Dundee United rather than the penalty which should have come. United did not have time to feel sorry for themselves, especially with the news that promotion rivals Ross County were beating Morton. They pushed for an equaliser, which finally came with fourteen minutes left. Pavol Safranko was brought down on the edge of the Partick Thistle penalty area and the resultant free kick was taken by Nicky Clark, and his low drilled free kick managed to beat Conor Hazard at his bottom right hand corner and level the game. Hazard had to look sharp a couple of minutes later to keep the scoreline level. Substitute Cammy Smith drove in from the left hand side and played a one two with Pavol Safranko to create some space in the box. Smith hit a low shot from eight yards out but Conor Hazard was able to block the ball to prevent United for taking the lead. Partick Thistle wasted an excellent chance to win the game on the break with five minutes left. Adan Fitzpatrick turned Mark Connolly and drove towards the Dundee United penalty area. He had the chance to slide the ball through to fellow substitute Lewis Mansell who was in a much better position, but the youngster decided to take the shot on himself, only for Mark Reynolds to deflect the ball over the bar. The home side were not to be denied, however, and they did get a winning goal in stoppage time. Again, Partick Thistle hit Dundee United on the break as Craig Slater found Lewis Mansell, who powered away from Jamie Robson before sending a lovely pass through to Aidan Fitzpatrick with the outside of his right foot. The winger stroked the ball across Ben Siegrist and into the far corner of the net to ensure that for the second straight game United would lose a game in stoppage time. There was still time for Pavol Safranko to see a goal correctly ruled out for offside before the final whistle blew. The win saw Partick Thistle go off the bottom of the Champiosnshipahead of Alloa Athletic, and Dundee United fell eight points behind Ross county, with the Staggies still having a game in hand over the Terrors. Dundee United’s chances of winning the Scottish Championship were, with nine games to go, already looking remote at best.